In a private swimming pool, there is a lot more to it than just letting the bathtub filled with water. 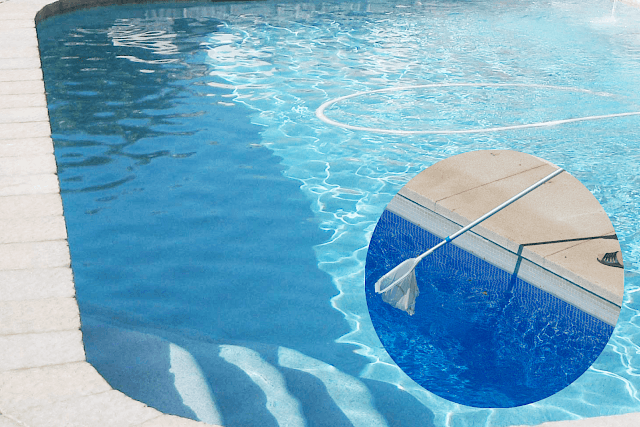 There are many essential pool supplies to have if you want to be able to swim in a relaxed way. The most critical swimming pool supplies are explained below. We distinguish them as 4 standard necessities, and the other “opyional” necessities for your swimming pool. The water must circulate for healthy swimming pool water. So that all chemicals are appropriately absorbed in the water. Most importantly, it is to pump the water through the filter (and any special room). A swimming pool pump always works in combination with a filter. These two alone can be seen as the most essential swimming pool requirements. The water must be filtered for clear swimming pool water. The pool pump pumps the water to and through the filter. In most cases, there is a (sand) filter vessel. You also need a medium filter for this. Sand Filter sets are also available online (swimming pool pump + filter vessel; excluding filter medium). However, with a standard Intex filter pump, you only need Intex filters. Clean swimming pool water must be protected against dirt from the outside. If you are not swimming, it is advisable to cover your pool. Chemicals can then do their job better, the heat dissipates less quickly, and above all, branches, leaves and other dirt are less likely to end up in the water (and in the filter installation) from outside. In addition to the four swimming pool supplies listed above, there are many “supplies” that are worth considering. These necessities are optional, but we strongly recommend a more pleasant swimming experience. Swimming in heated water is a lot more pleasant. With some heating products, you can enjoy a lovely heated swimming pool even in colder outside air. In addition to the water, the edges, walls, and bottom of the swimming pool can also get dirty. There are various cleaning products to have. With a swimming pool staircase, it is easier to get in and out of your pool. That way you don’t have to jump into the water, and you can get out of the pool without pain and without having to pull up at the edge of the pool. Finally, those are various parts you should have for your swimming pool supplies. If there is anything you want to ask or something you cannot setup yourself, you can always contact us. Our expert team will be available to help you deal with your swimming pool needs!